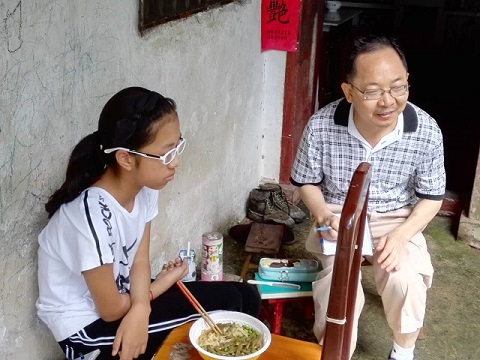 On July 5th, we went to Ning Deng Xiang, Ningguo City to visit some of the poor students. 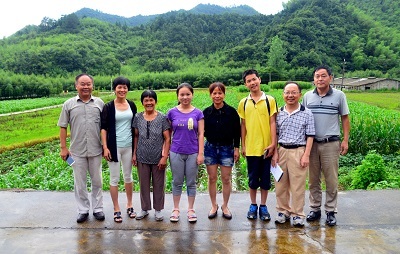 A donor Ms Zheng and a teenager Yang Tianxiao went with us. This boy was born in 2001 and is in 9th grade. He did really well in the high school entrance exam (#3 in his school) and will go to the best high school in Ningguo. He is also extremely good at Shu Fa. He lives with his grandma and her parents. 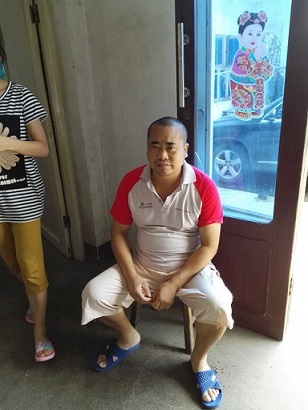 His father was found to have heart disease and needed medication daily and can not do hard work. 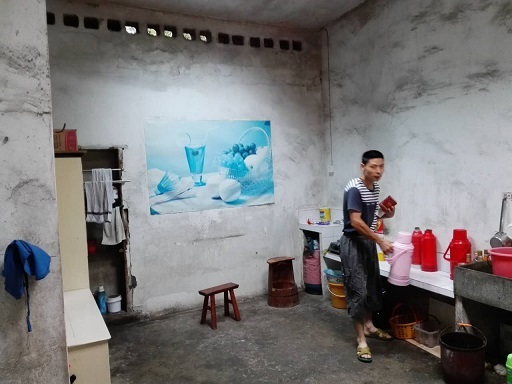 His mother went to Zhe Jiang to do odd jobs to support the family. 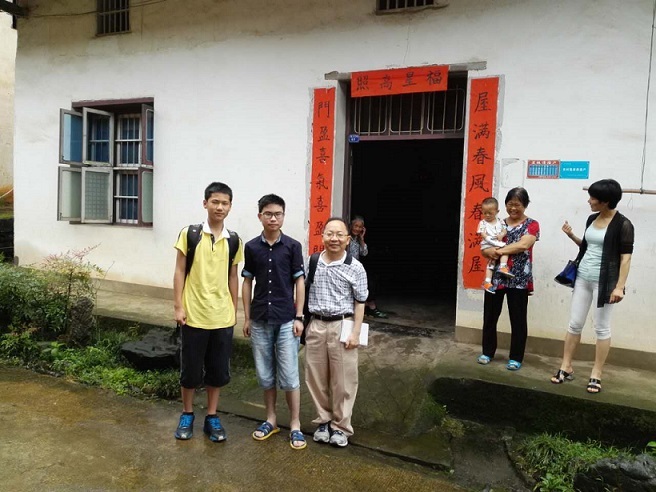 He has been sponsored by Ms Shi and Mr. Zhou. This boy was born in 2002 and is now in 7th grade. He lives with his grandma and his parents at rented house. His mother had surgery to remove a tumor in the head, and still felt the pain duing rainy days. Sometime she suddenly felt dizzy and neds to check every year. His father does all he can to support the family. The boy is excellent in school and is good at Math. He likes table tennis. He has been sponsored by Mr. Zhang and Ms. Wang. This girl is number one among her school's 7th graders. She is also amazingly positive and very good at communicating and mature. She took care of us very `professionally' on her own until her mother came back from work. She also took us to two other students' homes. We were all impressed. She lives with her grandma,her mother (very able), and her older sister (just graduated from a 3 year college). Her house is also really beautfiul and clean and made all of us wondering why she needed support. 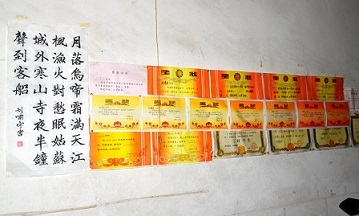 The fact is that her father died suddently after fell from a tree while working at a Zhe Jiang village three years ago. The house was build just before his death. Her mother is a fast talker and very able mom to keep the family of all four females together. Her grandma of over 70s seems also a very good helper in taking care of house. Good sample is perhaps one of the reasons for the girl to maintain positive during the obvious painful loss of her father. This girl was born in 2005 and lives with her grandparens and her father. Her father was a local electronician but was seriously injured in a car accident a few years ago. He also got seriously sick a couple of years ago and still needs medication. She also needs to take bus every day to school and has lunch at school. She is very good at school and is very quiet/shy when talking with us. Her family is very poor. This boy was born in 2001 and lives with his grandpa and his parents. 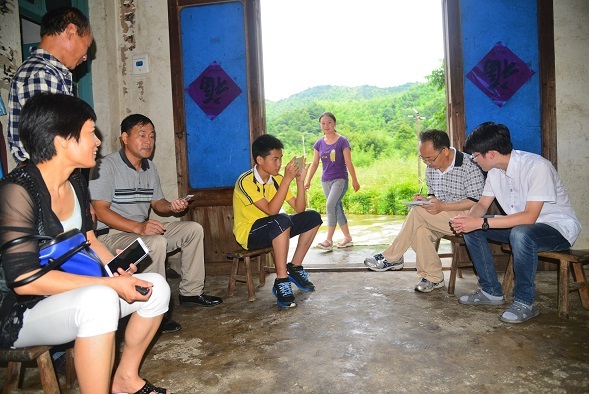 He is in 9th grade and will go to the best high school in Ningguo this Fall for his high school education. 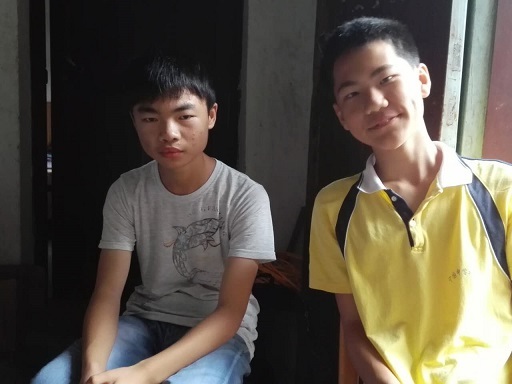 He lives in school (food cost about 12-15 Yuan a day and will be more) and likes history. 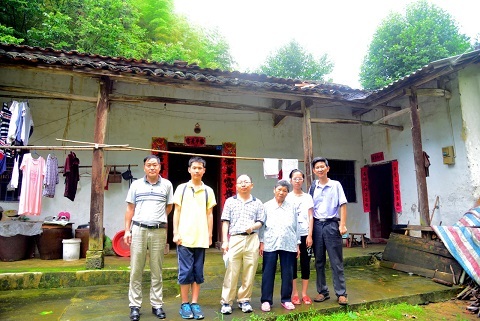 His family has almost no agreculture income (his village looks poorer). His father had two sugeries on his back and can not do hard work. This girl was born in 2002 and lives with her grandma and her parents. She is amazing and has a whole wall of awards. She is really outstanding all around, including academics, sports, and leadership. Her father has serious dietetes with both eyes almost blind. 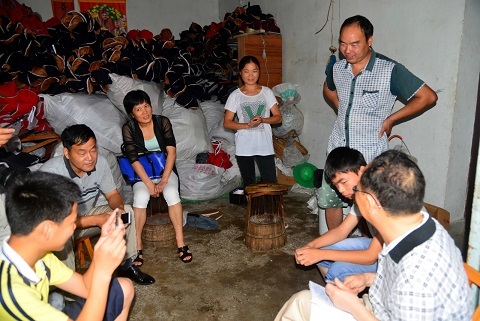 Her mother is amazing woman, working at a local factory to support the family with no complaint and is ready to smile with really good manner.